The time has come for fans of Tom Keifer who’ve been waiting over 10 years to finally hear his solo music. The Flower Song premiered on USA Today’s website yesterday, who proclaim “has the feel of a vintage Faces cut–a little Maggie May, a little Ooh La La–with Keifer’s gritty vocals front and center.” It’s the first single from his long-awaited, highly anticipated solo album, The Way Life Goes, due out April 30th through Merovee Records in conjunction with ADA Label Services. The Flower Song will be serviced to radio stations nationwide on February 4th, while Solid Ground will be serviced to all Rock formats on March 11th. The Way Life Goes ranges from intimate, organic, acoustic tracks to driving hard rock. It embraces the blues, rock and country roots that have always been present in his unique sound that has generated the sale of over 15 million records worldwide for Cinderella. In touring news, Keifer will launch his first-ever solo tour on February 9th in Winston-Salem, NC at Ziggy’s. The 14-city trek of small, intimate rooms is an up-close and personal preview of songs from THE WAY LIFE GOES along with some Cinderella classics. Dates beyond February 28th are currently in the works. For more information, please visit tomkeifer.com. When will “The Flower Song ” be avalible to purchase from Itunes?? I think he should have waited another 10 years. If your going to record a blues, rock record, why not do it with Cinderella? I also agree w/Chris! I really wish Tom was coming to Columbus OH!. I’ve missed him on the road & love his voice etc. Eddie, I know you are super busy & so is Tom but, he is almost everywhere in OH except Columbus. If you get the chance please pass on the message. 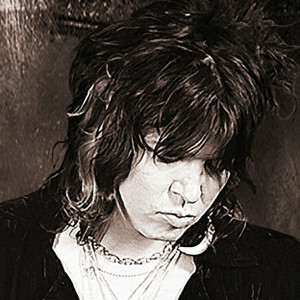 Columbus fans miss seeing & hearing Tom Keifer! Thanks for everything you do for all of the metal,rock fans!